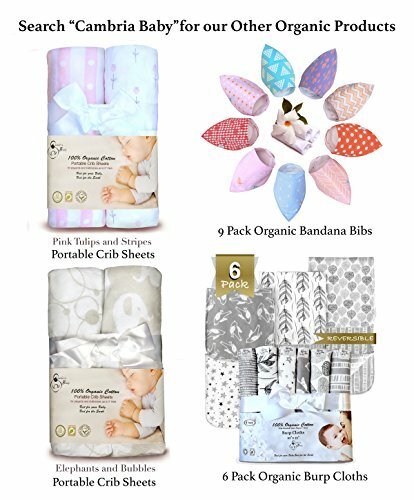 These darling sheets have a modern tulip and a retro dotted stripes pattern to complement any girl’s nursery.They are made to fit most portable cribs and playards. 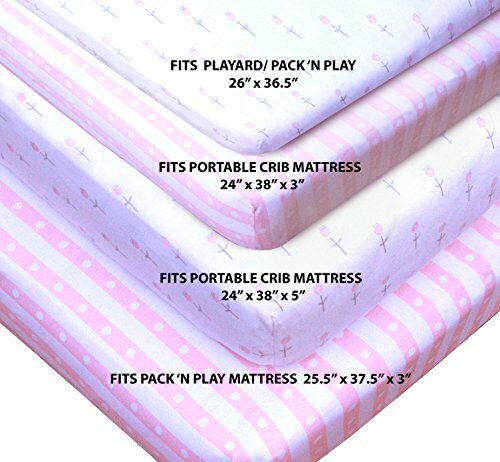 The elastic is strong enough for secure fit on the playard alone, the 3 inch thick 24′ x 38″ mattresses, and the 3 inch thick 25.5″ x 37.5″ mattress. Our sheets are incredibly soft because they are composed of the highest quality 160 gsm organic cotton jersey. 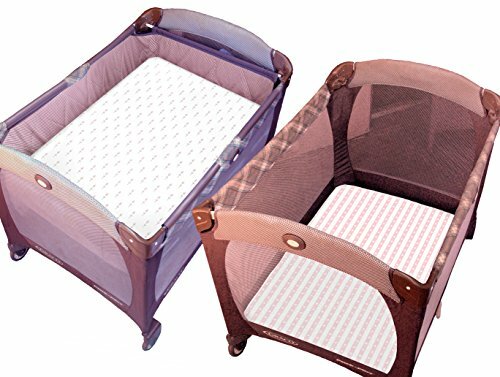 They are not thin like other playard sheets, but are made to be strong, soft and durable to stand up to multiple washes as your baby grows. Commercial cotton is one of the highest polluting crops in the world. 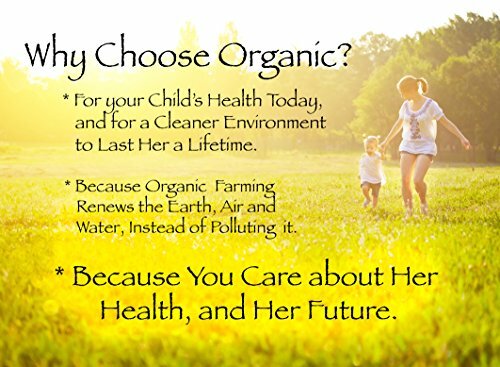 By choosing GOTS certified organic cotton you not only protect your child from harmful chemical residues, you can also feel good about making the right choice for a healthier environment. They are packaged with a beautiful white bow for a lovely gift presentation. You can’t go wrong by choosing these cute, durable, eco-friendly, and terrific fitting sheets ! These adorable sheets are made from 100% organic cotton, woven into a soft and durable jersey. 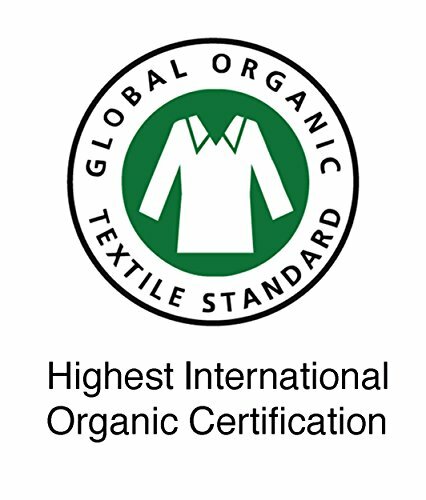 Our sheets are certified by Global Organic Trade Standards (GOTS), for the health of both your baby and the environment. 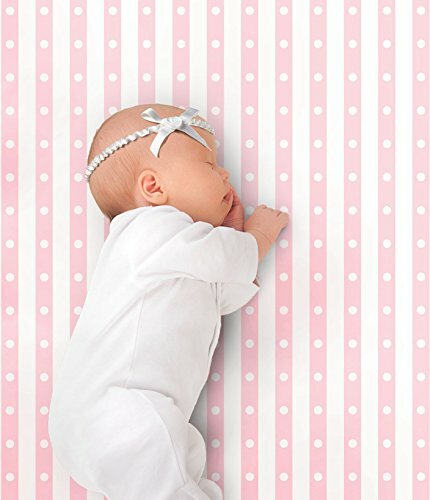 Modern pink tulip and retro dotted stripe designs blend beautifully with any baby girl’s nursery. Packaged with a beautiful white bow for a lovely gift presentation. 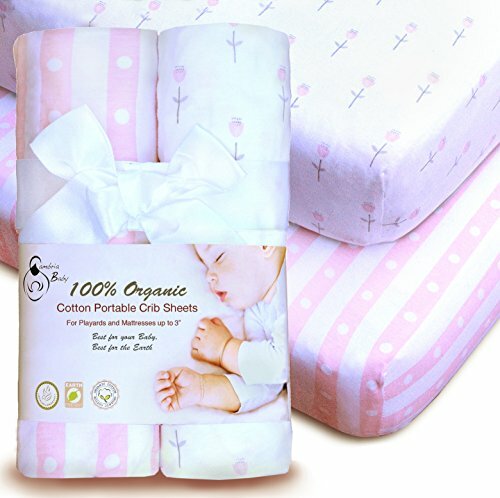 Eco-friendly, organic cotton is free from harmful chemical residues, so you can have peace of mind while your baby sleeps and plays. Simply machine wash and dry. The fabric is 160 gsm thickness, (compared to only 120 gsm of some other brands), so it stands up to numerous washings.